Americans could see a lot more drones flying around their communities as the result of a Trump administration test program to increase government and commercial use of the unmanned aircraft. WASHINGTON (AP) — Americans could see a lot more drones flying around their communities as the result of a Trump administration test program to increase government and commercial use of the unmanned aircraft. President Donald Trump gave the go-ahead Wednesday, signing a directive intended to increase the number and complexity of drone flights. A presidential memo would allow exemptions from current safety rules so communities could move ahead with testing of drone operations. States, communities and tribes selected to participate would devise their own trial programs. There is no limit on the number of communities that can join. The Federal Aviation Administration would review each program. The agency would grant waivers, if necessary, to rules that now restrict drone operations. Examples include prohibitions on flights over people, nighttime flights and flights beyond the line of sight of the drone operator. Drone-makers and businesses that want to fly drones have pushed for looser restrictions. Trump discussed the issue with industry leaders at a White House meeting in June. In the past two years, the FAA has registered over 1 million drones. The majority of them belong to hobbyists. There are now more registered drones than registered aircraft in the U.S.
Safety restrictions on drone flights have limited drone use, and U.S. technology companies seeking to test and deploy commercial drones have done so overseas. For example, Google's Project Wing is testing drones in Australia, and Amazon is testing drone deliveries in the United Kingdom. "In order to maintain American leadership in this emerging industry here at home, our country needs a regulatory framework that encourages innovation while ensuring airspace safety," Michael Kratsios of the White House Office of Science and Technology Policy told reporters in a conference call. The trial program will collect data on drone operations that will aid the government's effort to develop a separate air traffic control system for low-flying unmanned aircraft, he said. The test zones are expected to start going into place in about a year. 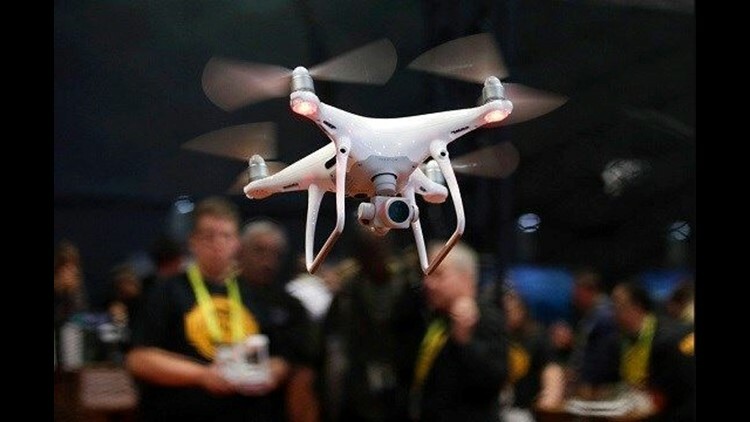 Safety concerns over drones have risen recently after the collision of a civilian drone and an Army helicopter over Staten Island, New York, and the first verified collision in North America between a drone and a commercial aircraft, in Quebec City, Canada. The test program doesn't address complaints by local governments that low-flying drones present safety, privacy and nuisance risks. The FAA says it has the sole authority to regulate the national airspace, but some communities passed their own restrictions.